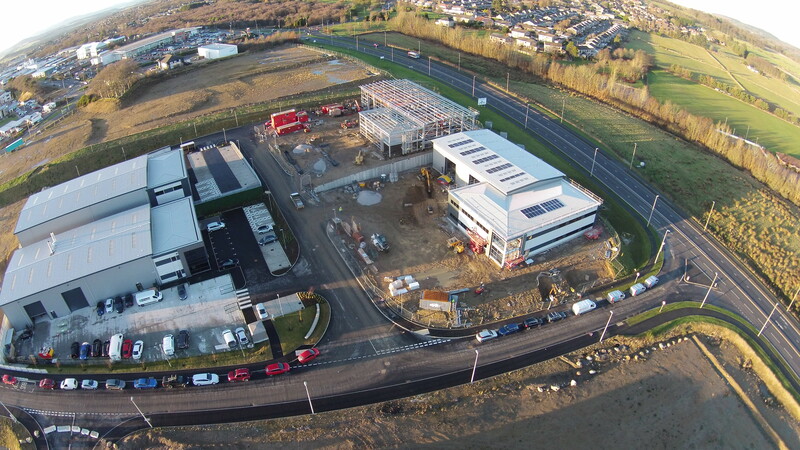 Local commercial property developer, Knight Property Group, are pushing ahead their investment within the North East with the development of Kingshill Commercial Park in Westhill. With a development spend of £5million, the construction of units 1 and 2 is creating work for 100 local sub-contractors and suppliers for 9 months. James Barrack, Managing Director at Knight Property Group comments, “It’s important that we continue to spend money within Aberdeen and support local businesses. Despite the challenging market we have faced, thankfully there are signs of improved confidence within the city. The Westhill development gained significant interest in Q2 last year with the signing of three long term leases on units 2, 3 and 4.